Schools from across Ulster took part in the competition that was organised for girls and boys across two age groups, Under 13.5 and Under 15.5. Indeed this was the most Schools ever entered in these competitions with schools from Armagh, Cavan, Derry, Down, Monaghan and Tyrone all partaking. The Under 13.5 competition concluded last week with a fantastic uptake in the competition. 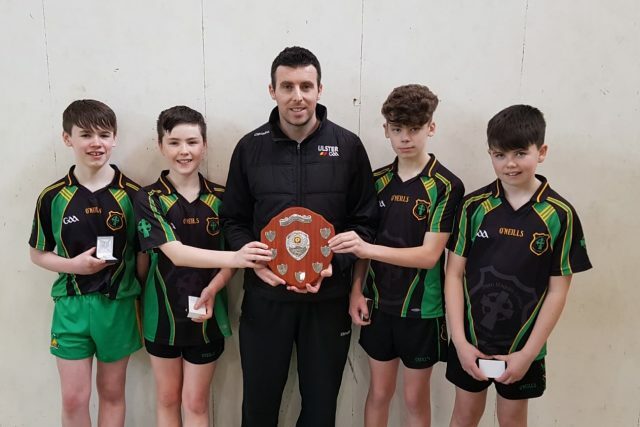 Emerging from the regional qualifiers in early March were St Patrick’s Downpatrick, St Macartan’s Monghan, Viriginia College, St Ciaran’s Ballygawley, St Colm’s Draperstown and Dean Maguirc, Carrickmore. 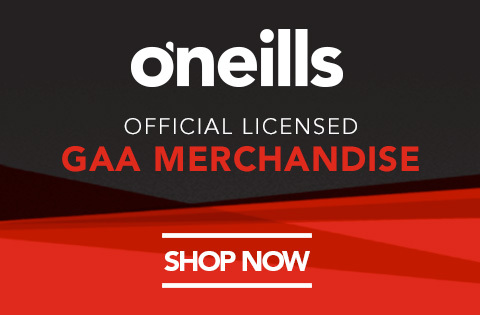 It was the Carrickmore school who eventually overcame their Tyrone neighbours in St Ciaran’s Ballygawley in a play-off. The girls event ran-off as a one day event with seven schools and 56 participants taking part. 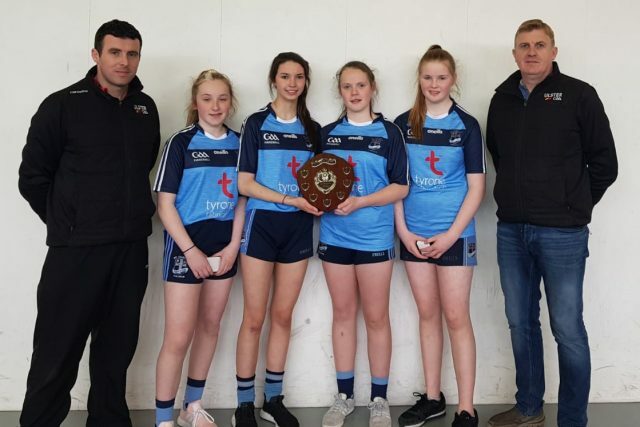 St Catherine’s College, Armagh and St Ciaran’s College, Ballygawley made the final with the St Ciaran’s girls seeing off the Armagh girls in a competitive final. Any school interested in taking part in this initiative are asked to contact shane.mccann.ulster@gaa.ie.